Or you can buy all of them for £7.50 inc postage. Send payment via paypal to angry.violist [at] gmail.com … or email me at that address to arrange to pay by cheque (£ only). Issue 7 will be ready mid-March and Issues 1–3 will be reprinted sometime later this year as a bumper fun zine. Sign up to my mailing list if you’d like to know when they are available. 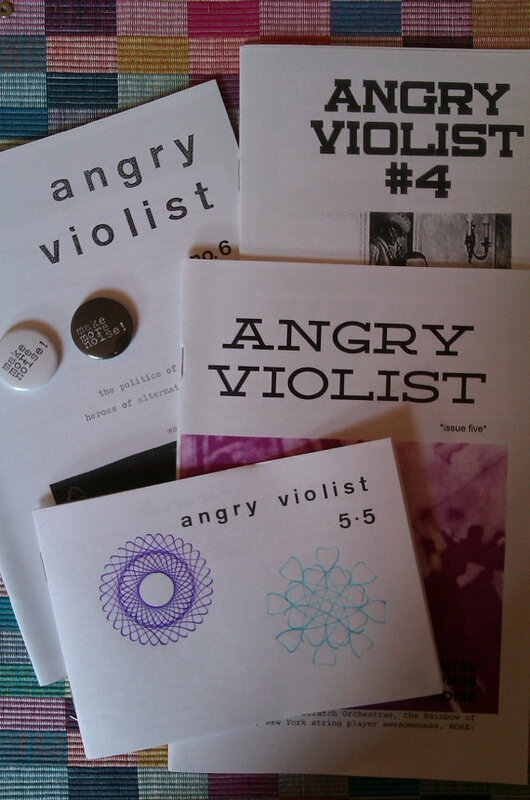 This entry was posted in Angry Violist elsewhere, Issues of the zine and tagged etsy, kerching, zines by Angry Violist zine. Bookmark the permalink.